Brexit will bring stricter controls on immigration, but will not rule out rights for EU workers in Britain and vice versa, the Prime Minister has announced today. Theresa May’s speech laid out 12 objectives for the UK’s exit from the EU, for which the official process will begin in March. Could associate EU membership become a worthwhile perk? Webinar (on demand): Brexit: What now for HR? She confirmed that the UK will leave the EU single market, and that while there will be tougher restrictions on the number of EU migrants coming into the UK, she still wanted to be able to “welcome the brightest and the best”. May said that her intention is to “protect and extend the rights” of EU workers, and to guarantee the rights of EU citizens living in the UK (and vice versa). The full details of how the immigration controls will work and how any reciprocal deals might function are yet to be announced, however. The Brexit deal will be put to parliamentary vote. If the vote is in favour, Article 50 will be invoked in March and a two-year process will begin to leave the EU. May added that she didn’t want to subject the UK to “some unlimited transitional status”, but at the same time did not want to expose the country to a “cliff edge”. A further promise was to maintain a “common travel area” between the UK and the Republic of Ireland. European parliament member Charles Goerens has previously suggested that an option to gain “associate EU membership” could be introduced, which would guarantee the right to free movement and residency, but this proposal will not be debated until the UK formally leaves. 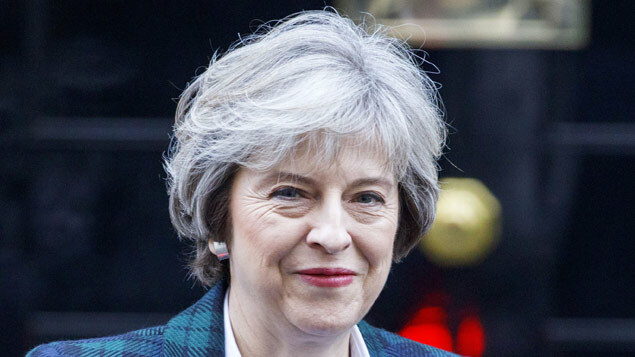 CIPD chief executive Peter Cheese said: “The Prime Minister has made it clear that she wants the UK to be able to control its borders. However, it should still be possible to design a flexible, managed immigration system that allows businesses to access the skilled and unskilled labour they need from both EU and non-EU countries. “If we are to use Brexit to deliver a global Britain as the Prime Minister wishes, then British business must be able to continue to attract and access global talent. We would urge the Government to engage properly with organisations and employer bodies to ensure that their views and needs are reflected in any deal that the Prime Minister seeks to negotiate. “It is particularly welcome that the Prime Minister confirmed that the protections afforded to workers through current employment legislation will continue. Many EU-derived regulations provide vital workplace protections and workers up and down the country will be reassured by the news that their rights will not be sacrificed as part of any deal. However, it is disappointing that the Prime Minister is currently unable to confirm that EU nationals already residing in the UK will be allowed to stay. This needs to be an immediate priority in the negotiations to come.